Even though it doesn’t really seem like it, AMC’s popular TV show “Breaking Bad” presents many political undertones and situations whose main cause is rooted in political decisions. While most analyses focus on the psychology of the characters, the expansive and logical storytelling, the impressive cinematography, the trademark POV-style filming from virtually episode, and the social messages contained by the actions of Walter White and his acquaintances (for the record, they’re all brilliant and relevant in their own right), discussion boards and commentary websites rarely refer to the political messages that one might identify throughout the series. And I will go on and make the big statement right from the beginning, just to it can receive the proper attention and be discussed accordingly: “Breaking Bad” is actually a criticism of the American healthcare system and its inability to provide proper care to some of its most hard-working, honest, and valuable citizens. It’s easy to observe that the main motivation behind Walter White’s transformation from an overqualified high school chemistry teacher to a bloody drug lord with questionable morals is innately financial. Since the first episode of the series, it’s made clear that Walter White has financial reasons to feel miserable about his life. It can’t help but make me wonder: how would the outcome get changed by a better healthcare plan? Image Source: DailyMail.co.uk. If you’ve watched the show, then you already know just how likeable and relatable Walter White is: he works all day long to support his family, has to live for the rest of his life knowing that a project he helped establish has become a multi-billionaire enterprise, and he sacrifices his personal ideals for the sake of providing to his family. Though it might sound like a Pete Best-type of syndrome, these are all elements that millions of viewers can personally understand. They’re are all hardships of the contemporary middle class from the United States of America, and discovering that the intellectual who teaches in prestigious institutions also works extra hours at a car wash is not as uncommon as one might think. The whole situation seems manageable and part of the book of daily struggles and compromises people have to deal with on a daily basis, but our protagonist is struck with one last element of bad luck: he collapses while working at his part-time job and finds out about a lung cancer diagnosis. Certainly, the situation would have been more manageable and less stressful if the healthcare insurance covered the expenses for cancer treatment. But just like in the real-life America, the situation becomes difficult and costly. However, for the sake of conducting this discussion, we’ll assume that the whole Heisenberg situation could have been avoided if some sort of free (or at least cheap) medical treatment for cancer was provided. 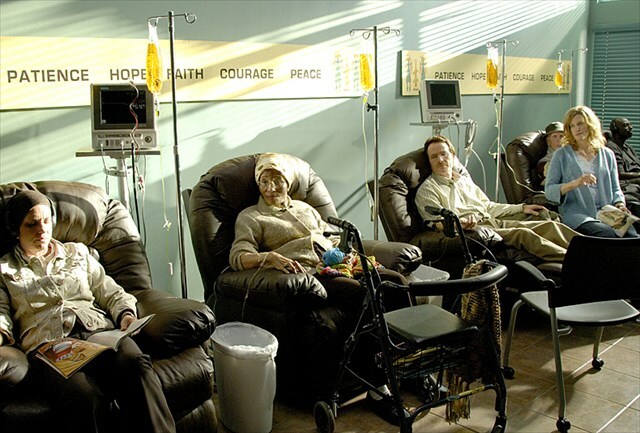 Walter White, the series’ protagonist, has to pay more than his annual salary’s worth to cover his cancer treatment. 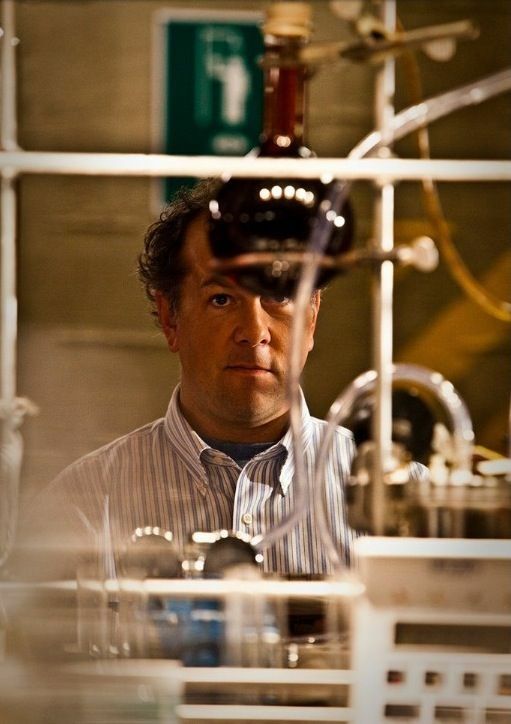 Could this be one of the crucial reasons that determined him to break bad? Image Source: Amazon. In other words, if the American policies regarding the healthcare system were different and favored cancer patients, the odds of determining a brilliant chemist to resort to meth cooking would be drastically reduced. 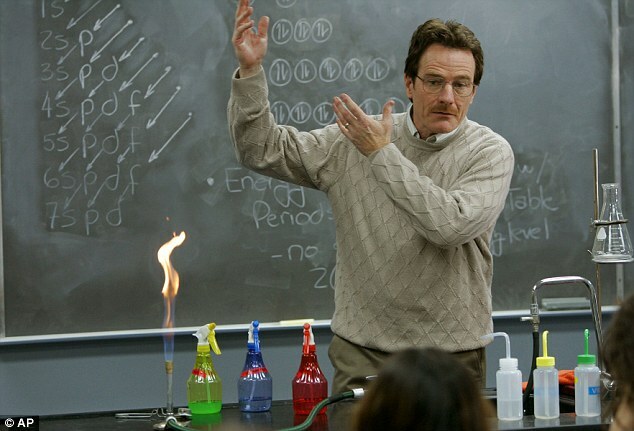 Furthermore, we can all agree that producing and distributing illegal drugs bears many more burdens than the conscience of having ruined thousands of lives: and it becomes blatant throughout the series that Walter White just can’t conduct business without resorting to acts of killing, even if their intentions are based on self-defense principles. In a greedy oligopolic world of drug production and distribution, it’s only normal that illegal undertakings will fuel egos, create megalomaniac and monopolistic characters, and cost many lives. Additionally, one might say that Walter White didn’t become a drug lord just because he needed the money for his cancer treatment: he knew his life wouldn’t last longer than 18 months, and he worried for the future of his disabled son, his out-of-work pregnant wife, and his unborn daughter. We are also given a context for his ego and reasons to refuse acts of charity from other rich friends and acquaintances, but it’s still hard to tell if somebody like Walter White would have chosen a legal and moral path for the last months of his life if he received free or affordable healthcare. What is for certain is the fact that a smaller dose of humiliation and sense of defeat in the face of society could definitely mend the wound. Maybe that taking away the burden of his ridiculously high medical expenses would have kept him working and saving money – and his reluctance in terms of accepting donations wouldn’t have been so high. 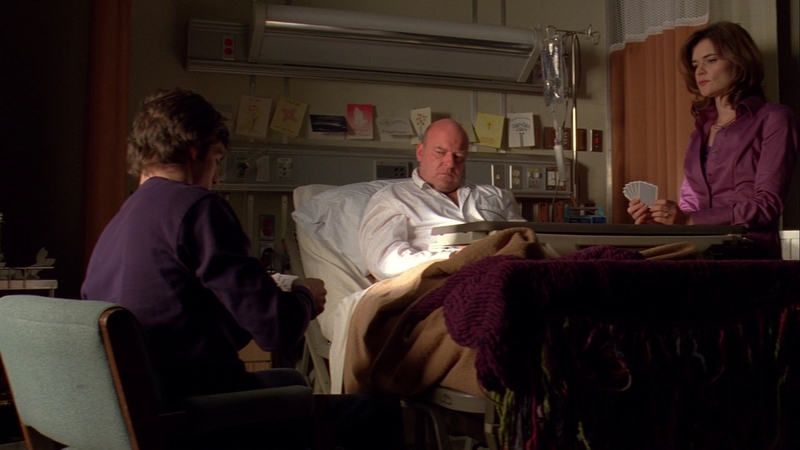 However, the idea that medical care is expensive is a recurring theme throughout the series: when Hank Schrader gets shot and part of his body is temporarily paralyzed, it is clearly implied that not even his DEA healthcare plan (and we’re talking about a well-paid, important and esteemed government employee from a well-financed agency of the United States Government) is able to cover a proper recovery program. As a matter of fact, it is implied that the brother-in-law of Walter White has to receive $177.000 just to benefit from a proper trainer who can help him regain his physical strength. Just like Walter, Hank and his wife can’t afford to pay the proper treatment: however, the DEA agent is fooled into thinking that his healthcare plan covers everything. Hank Schrader is privileged enough to live under the illusion that he is being taken care of by his medical insurance. Had he known about the $177.000 costs, maybe that his attitude in regards to the law would have been different. Image Source: BreakingBad-Locations.com. Consequently, Hank had no reason to feel angsty or rebellious in regards to the system he works for and serves, as he felt like he received what he deserved. Who knows, maybe that somebody as hard-headed as Mr. Schrader would have lived the rest of his life feeling miserable and blaming the government that he served for not taking care of the wounds he acquired while fulfilling his duty. Could Hank also become a murderous and cold-blooded drug lord? Well, it’s hard to tell. However, the character who has a similar background with him is Mike Ehrmantraut, a former police officer who decided to switch sides and defend criminals for financial reasons. Therefore, if the DEA agent were to find out about the poor health plan he receives from his insurance company and the $177.000 financial burden, his willingness and motivation to return to work would have decreased drastically. Clearly, many of the events could have been prevented if the characters lived in a state where universal healthcare was provided: and most of them refer to the uncharacteristic deeds of Walter White. This isn’t just a statement that glorifies left-wing policies, but an observation regarding the assumed causes behind the facts. It’s easy to imagine how people would do terrible deeds out of desperation just because they have nothing left to lose – if their own health is precarious and deteriorating, and no kind of medical intervention can be provided without prohibiting costs, then the chains of the social contract become very easy to break. Simply put, if somebody is desperate and doesn’t have any certainty about their own lives, seemingly-irrational law-breaking acts become more common. Morality and basic human decency require a strong foundation that keeps people in a state that doesn’t provide them incentives to rebel. However, Walter White acted in a way many 50 year-old family men would have. Image Source: Vignette.wikia.nocookie.net. Yes, it is implied in the final episodes that there is a strong sense of selfishness and animalistic demand for freedom that shadows his actions. But why would anyone feel like raging against the machine if they had something as basic as a access to decent healthcare when they need it the most? When an individual is forced to acquire sums of money that exceed the average annual income on a short notice, and there is no certainty regarding the financial potency to pay back the debt throughout many years, then alternatives have to be found. In a way, the show’s premise can be summed up through the following statement “Just look at what this minimally-subsidized healthcare system of ours can do when it indebts honest people with knowledge in fields that can become highly profitable only on the illegal markets”. Maybe that another theme can be identified in the war on drugs and the way it affects human societies – and the likewise overqualified chemist Gale Boetticher sums it up really nicely when he describes his libertarian views on the drug market: he is merely providing something for which there is a high demand, and he thinks that his expertise in chemistry would highly benefit the consumers who would otherwise have to settle for something of lower quality. It’s a pretty interesting social observation which relies on the premise that addictive and self-destructive personalities will always ask for means to get their fix. Through his light-hearted libertarian approach to the drug business and morality the eccentric chemist Gale Boetticher presents an interesting approach to the war on drugs. If he only supplies to a demand, then why not make sure that the product is of high quality? Image Source: Pinterest.com. At the same time, though, it pushes for a more libertarian approach on the drug market: wouldn’t it be better if the products were produced by professionals and sold legally and on limited quantities that prevent overdoses or dangerous health risks? The approach is already being tested by certain states which legalize cannabis, and in some cases it turns out that the experiment is beneficial for the governmental budget (just like in the state of Colorado, for example). Furthermore, if the production and distribution are handled by governmentally-regulated agents and bound by the laws, then the state of nature becomes less likely to unleash: the many lives lost due to the relentless fights between the authorities and the cartels are ceased, and selling something like meth becomes less profitable. After all, why would you even try to come up with something whose quality is untested and questionable, and whose scarcity is insignificant due to large stocks in specialized legal stores? It would be just like building a candy factory in your backyard: more expensive and of lesser quality than the products of professionalized economies of scale. We shouldn’t forget that one of the main determinants of a product’s price is the scarcity factor: if it’s hard to acquire, then the costs will certainly increase. In conclusion, given the presented arguments, it makes sense to affirm that the tragedies presented throughout “Breaking Bad” could have easily been prevented if the characters were covered by universal healthcare, and the illegal drugs business wasn’t as harshly punished by law (and therefore profitable for criminals). In a political framework like the one from Canada, Sweden or Denmark, it’s hard to imagine how something similar could have taken place. While it’s true that every state and every human society have their bad apples and there will always be individuals who willingly break the law for selfish ends, it becomes clear throughout the TV series that the high price for health services and the strict drug regulation policies generate many human casualties. Personally, I would be honored to ask Vince Gilligan about his political views and the agenda he tried to push throughout the series. While it’s true that no character ever complains about the bad healthcare insurance system from the US (even though Marie Schrader seems stunned when she finds out just how poor her husband can be treated by the provisions of his healthcare plan) and there is only one moment when the DEA’s legitimacy and purpose is questioned in an indirect way (when Walter and Hank talk about the illegally-acquired Cuban cigars), the general situation exposes a world where the status-quo is taken for granted. I can’t recall a case when any of the characters ask themselves “Why do I have to pay so much for healthcare?” or “Why are drugs illegal and even their possession is punished so harshly by the legal system?“. But while “Breaking Bad” makes us question our own morality while we experience the world of Walter White, I tend to affirm that the series is also intended to make us observe the larger political picture, put the events in hindsight, and say to ourselves “Just look at how far decent people can go if they feel undignified and can’t even get access to proper healthcare without astronomical expenses!“. Naturally, this observation is followed by the question “Would all of this be possible if it happened in a more developed welfare state?“.